When you think of Sparta, you think more of the powerful state, rather than the individual famous or notable Spartans, who helped to shape this legendary Greek state. Without these figures it is unknown whether Sparta would have survived as long as it did, or have reached such highs. The notable and famous people of Sparta however still come second to their rules and regiment, but we will document some of the more influential figures in this intriguing state regardless. Agis IV was the 24th king of Sparta, ruling under the Eurypontid family, he succeeded his father at the young age of 20 and ruled for only four short years. In his short tenure as king, Agis was able to re-enforce the old beliefs of ancient Sparta, he brought back the sharing of wealth and land, which had slowly slipped away from Sparta over the years. Its for this reason, for the resurgence of the old ways of Sparta that Agis IV is worthy of note in the history of Sparta. 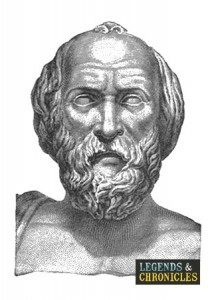 Coined the lawgiver of Lycurgus, it is not truly clear as to the existence of Lycurgus, whether he was a story, a myth or reality, but he will now forever be known as the founder of Sparta as we recall it. Lycurgus was responsible for the slow growth of Sparta, the invention of the Gerousia, the demand of the alliance of Sparta of its citizens, and the requirement that men eat together. The overall beliefs of Lycurgus were build from the Oracle of Apollo and his goal which was highly successful at that, was to bring a valuable regime, focusing on citizenship, fitness and financial austerity to the soon to be mighty state of ancient Sparta. Leonidas I, is of course one of the most famous Spartans ever, the king that will be forever remembered for the battle of Themopylae. 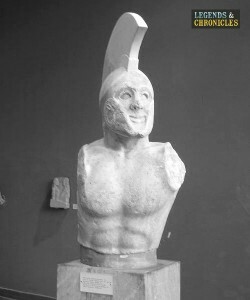 Leonidas, or Leonidas the Brave was king of Sparta for just under ten years from around 489 BC to 480 BC. While the reign was short, for Leonidas it was not without revelation and the king was thought to be nearly sixty years old when he died. Nabis was the last ruler, and was actually an independent ruler of ancient Sparta, his control was limited and his territory was small. Nabis actually came to the kingship after taking it from the rightful heir Pelops who was merely a child at the time. Pelops would have regents who helped him and oversaw proceeding for him due to his age, Nabis was the second regent and shortly after he overthrew the young king. It is thought that Nabis ruled Sparta from around 207 BC to his assassination at the hands of the Aetolian League in 192 BC. Women in Sparta were allowed more freedom than in most of Ancient Greece, and Cynisca is proof of this. Cynisca also known as Kyneska was a princess, daughter of Archidamus II and the first woman to win in the Olympic Games, quite a feat, and no surprise it was a woman of Sparta to achieve this. The event won was the four horse chariot race, where Cynisca competed with a team of men, as women were only permitted to enter into equestrian events. Still truly a monumental occasion, and achieved by a woman of Sparta. Considered a wise, smart and politically astute woman of Sparta, Queen Gorgo was daughter to King Cleomenes I, and later wife to King Leonidas I. Later in life Gorgo would have a son with Leonidas, Pieistarchus, who turned into a future king taking the role after the death of his father. Gorgo’s claim to fame in Sparta was set before the Persian Invasion, a warning was sent to Sparta by Demaratus who was then trapped in Persia. The message was relayed by means of a wooden tablet with the message itself covered in wax so that the Persians would not see it. When the tablet arrived in Sparta, its purpose was unknown to all. It was Gorgo who noted that perhaps the wax should be removed, leaving the message clear to see. As with many famous Spartan women, Arachidamia was a strong Spartan lady. The wife of Eudamidas I, Arachidamia was a wealthy and important women in Spartan history. Arachidamia was responsible for empowering the women of this ancient state during the siege of Lacedaeomon in the third century BC. The Gerousia had then decided that the Spartan women should be quickly moved to Crete for their safety. Arachidamia however had other ideas, and with a sword in her hand, she marched in front of the Gerousia and fought as to whether women were expected to survive this battle. Consequently Arachidamia may have helped to shape how women were viewed in the coming future in Sparta. Sparta was home to more than its fair share of notable people, from the mighty kings that ruled this once great state like the legendary King Leonidas to the powerful and empowered women like Arachidamia and Gorgo. While our round up is not one hundred percent complete, there are some famous Spartans that could be included or maybe even will in future revisions. Chelidonis, Menelaus, Hydna and Cleomenes I are all suitable inclusions while some we cover in other sections. Regardless of any potential people not listed here, Sparta was shaped by the foundation of its military, and by its legendary leaders.